A Little Trip to Tulsa. Last Thursday our little fam headed over for a quick trip to Tulsa. I had gotten 2 free tickets to see Dave Ramsey Live, and that combined with a Living Social deal for the Tulsa zoo means that we made it a little family trip. I figured a recap of our two day extravaganza would be best summed up in high/low form. 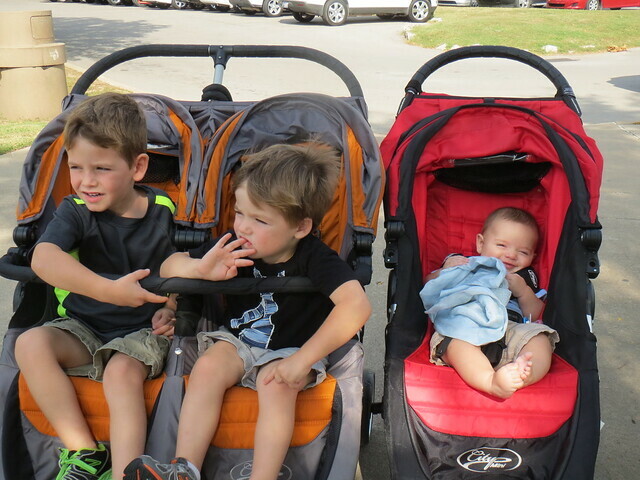 Low: Tyler made it clear he absolutely, hands down, hates his car seat. This is so new to me-- I've never had a baby so adamant that the car seat is of the devil. Is there any cure for this problem or are we just SOL? High: Definitely seeing Dave Ramsey Live. Drew and I are big fans, so it was fun to hear him speak live. It also encouraged us to press on with our goals of building a legacy (not just financial, I might add) for our family. High: 2 room hotel rooms. God bless Embassy Suites. There's no way we'd be able to fit all of our people and all of our stuff in a tiny room. Low: hotel room sleep. Oxymoron of the year. Tyler was up most of the night, so that meant I was too. I was also grateful for the 2 room hotel room for this reason as well, because at least it was just Tyler up and not all of us. Could have been a lot worse. High: hotel room bed jumping. 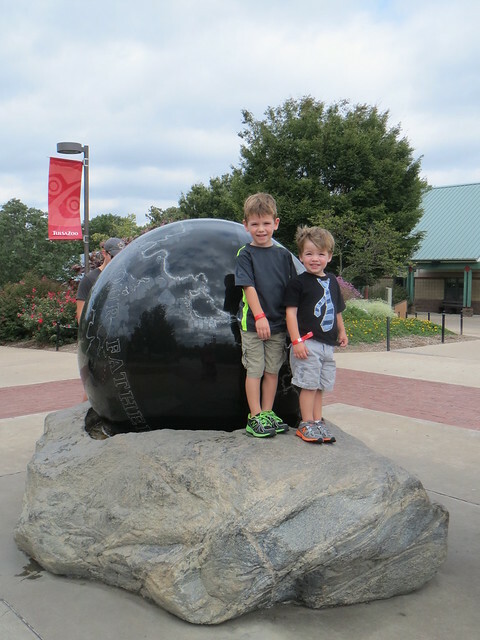 No pictures were taken to document the event, but I assure you that my boys had a blast. Brayden dubbed it his favorite moment of the weekend. High: free breakfast buffet. My boys eat us out of house and home, so we were grateful to have the price of a big, hot breakfast out of the equation. 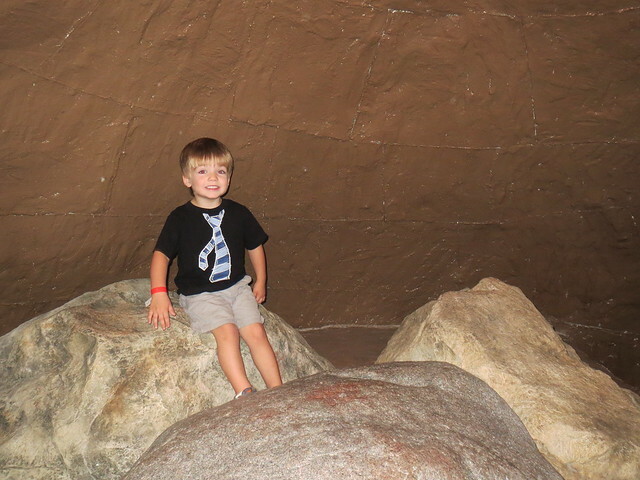 Brayden was excited to have endless possibilities. Just for breakfast he ate: strawberries, strawberry yogurt, 5 pieces of bacon, a serving of scrambled eggs, a biscuit, a blueberry muffin and a cream filled, chocolate iced donut. Dude can pack it away. And an hour later, he asked for a snack and proceeded to eat 2 packages of cheese crackers, a ziplock bag of goldfish and two granola bars. Low: stepping out of the hotel room to peek downstairs at the boys swimming, and realizing I didn't have my key after the door slammed shut. Tyler was inside of the room on the bed. I had to rush downstairs to get the key from Drew. Never have I ran so fast. High: The Tulsa zoo. I was kind of nervous that the trip would be a disaster, but I was pleasantly surprised. Aside from the large junior high group that was there, the zoo was relatively empty, so our little family could meander as we pleased without having to wait in lines or worry about children getting caught up in big school groups. We rode the carosel so many times I actually got dizzy. 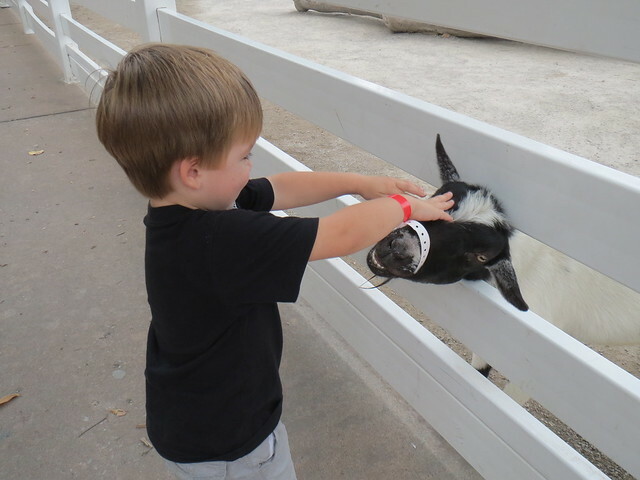 Connor said his favorite part was the sheeps and goats. Low: Tyler screaming for about half of the trip back. That's not fun for anyone involved. Overall, I'd say the trip was a smashing success. Trips with kids are hard, and not that restful, but they are also full of great memories. 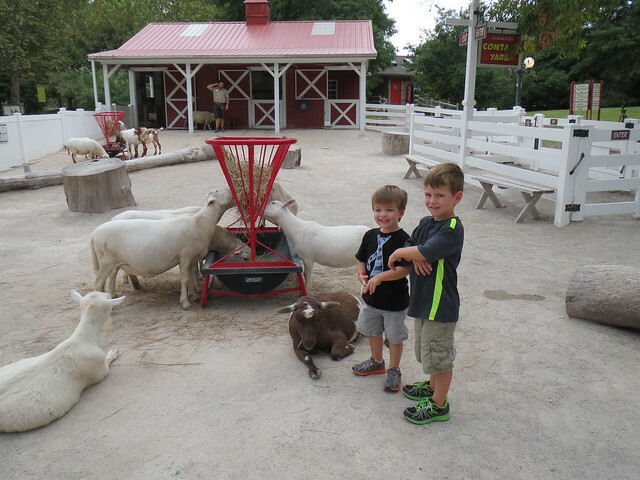 I'm also encouraged as it becomes easier with my older boys, that there will be a day when all of them will be excited to be in the car and traveling somewhere. 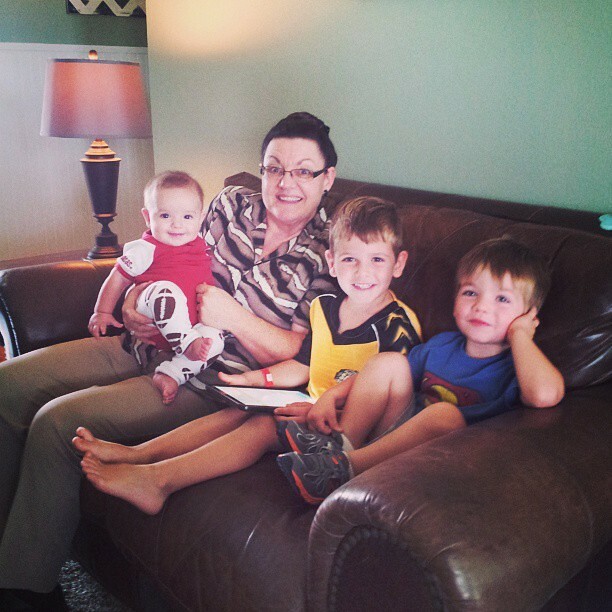 High: we got back in time for a pretty paid back weekend, that included watching the Hogs get creamed by South Carolina, playing soccer, and some time with Mamaw. the weather this weekend was amazing aside from a small dose of rain showers, so we were outside for a lot of it. 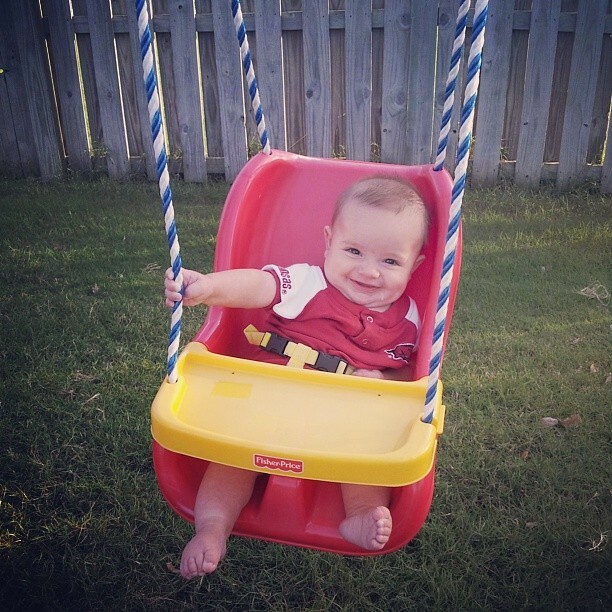 This guy is a fan of the swing. 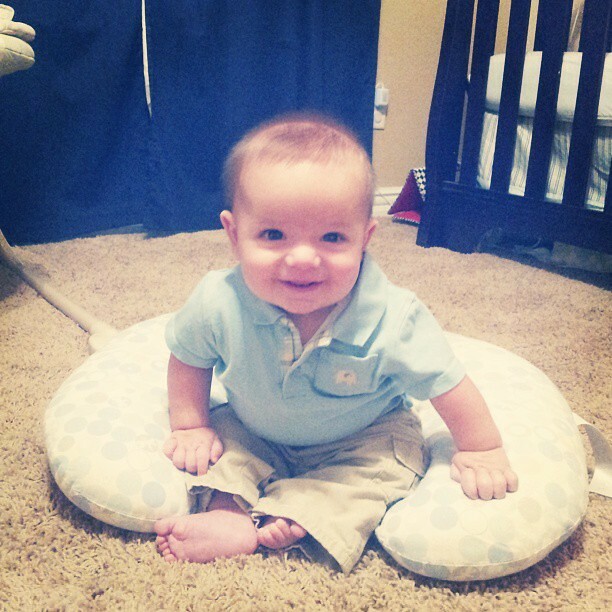 this little guy is learning to sit up on his own. He only lasts a few seconds, but he is SO proud when he's doing it. Connor has been quite the little toot lately thanks to the terrible threes. But he's also equally hilarious. 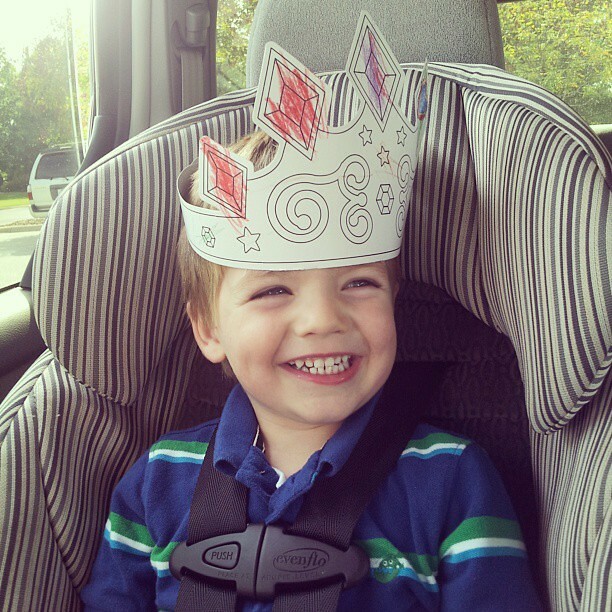 This morning he made a crown in Sunday School, and after picking him up he kept saying "King Connor is here!" and waving his crown around to everyone. Haha! Hope everyone has a great week! We have storms coming in, but I"m so excited because they are bringing in REAL fall weather! Yay for fall!